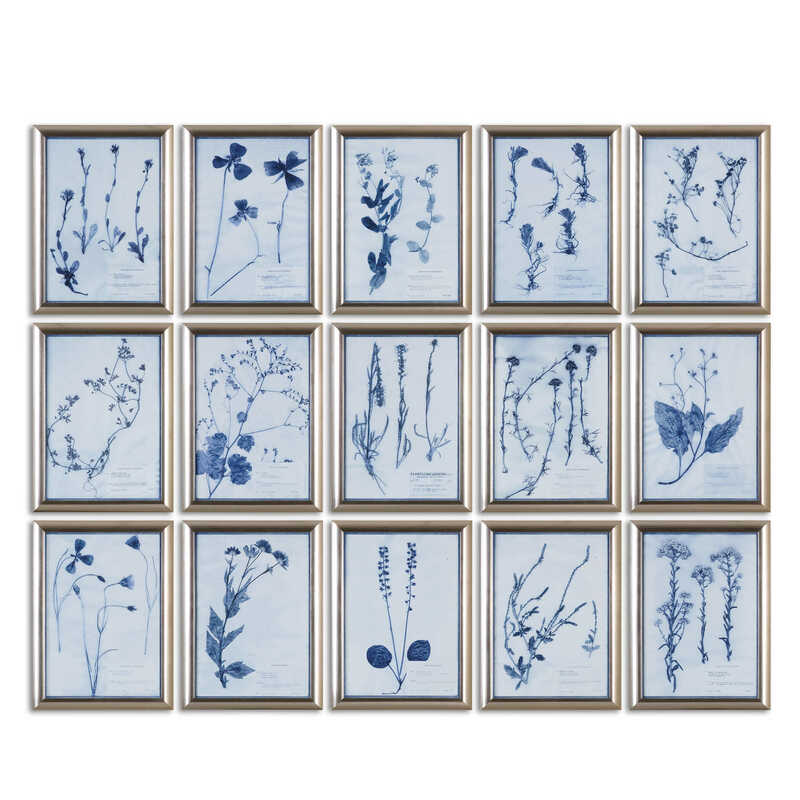 Printed in a contemporary blue and white color scheme, this botanical framed art set will be a definite statement piece in any space. 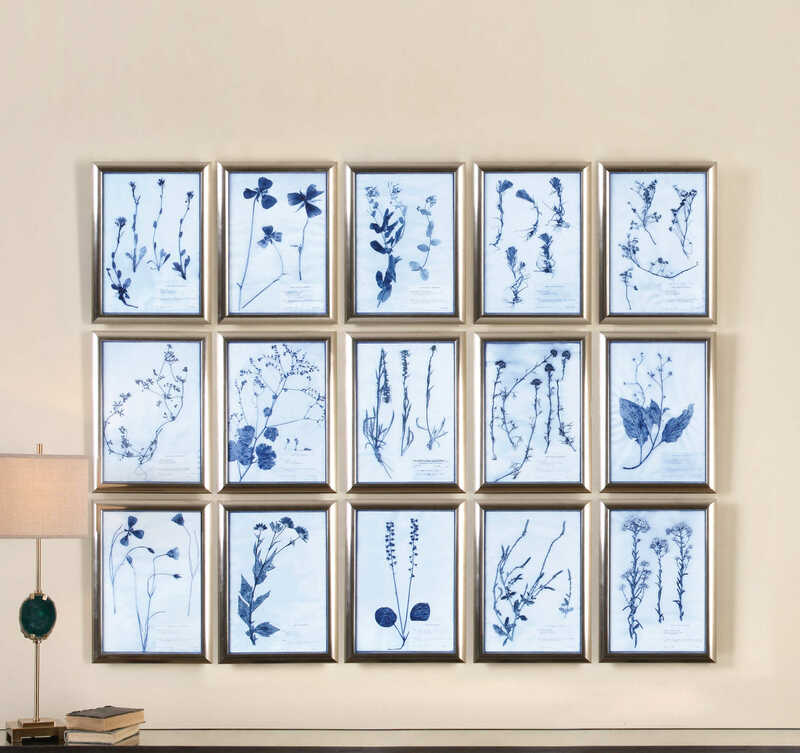 This set includes 15 different floral images, each being surrounded by a silver finished frame. Each print is placed under protective glass.